February is American heart month so let’s talk heart health. We want you to live a long and healthy life. 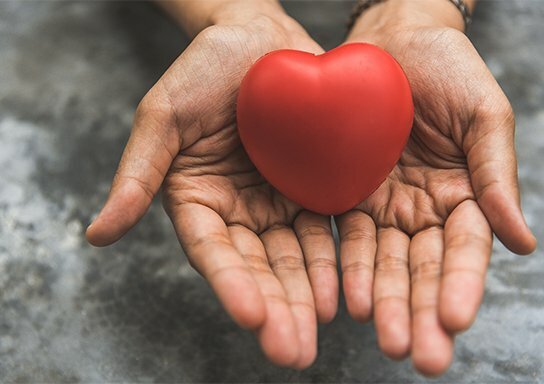 Whether you have trouble with your blood pressure, stress, or perhaps have a bad habit you’d like to kick, we have some tips and tricks to keep your heart beating. Seems pretty straightforward, right? A good starting goal is at least 150 minutes a week, but it’s important to find forms of exercise that work for you. Simply walking more, riding your bike instead of driving, and going to the gym a couple times a week can help build more opportunities to be active into your routine. If you need some motivation, there are numerous fitness apps out there that can track your progress – and give you an extra push when you need it most. Remember to always drink plenty of water and eat nutritious foods to keep your energy levels up. Adults age 18-64 should get an average of 7-9 hours of sleep a night, so test it out and see how many hours work for you. Healthy eating habits start with healthy food choices. We know it can be overwhelming, especially if you aren’t a chef, but the easiest way to eat healthy is to know what to look for at the grocery store and restaurants. Sometimes we get so busy in our day-to-day lives that we skip out on taking care of our mental health, which is an important factor in keeping our hearts happy. A happy heart starts with a happy mind. Pay attention to how you’re feeling and don’t forget to take care of yourself first and foremost. From your friends at the Carbondale Fire District, we hope you are having a safe and fun winter. We hope these tips help to keep you in great health and as always, if you have any questions, feel free to reach out to us.